With the number of things we need to do in a day, it is common to forget and lose track of appointments. Having a schedule where we could input everything that needs to be done in a day is one sure way to help us stick to our daily schedule. As most of us have busy work schedules, it is hard to keep tabs unless we could actually afford a flexible schedule which for most of us, are not able to. 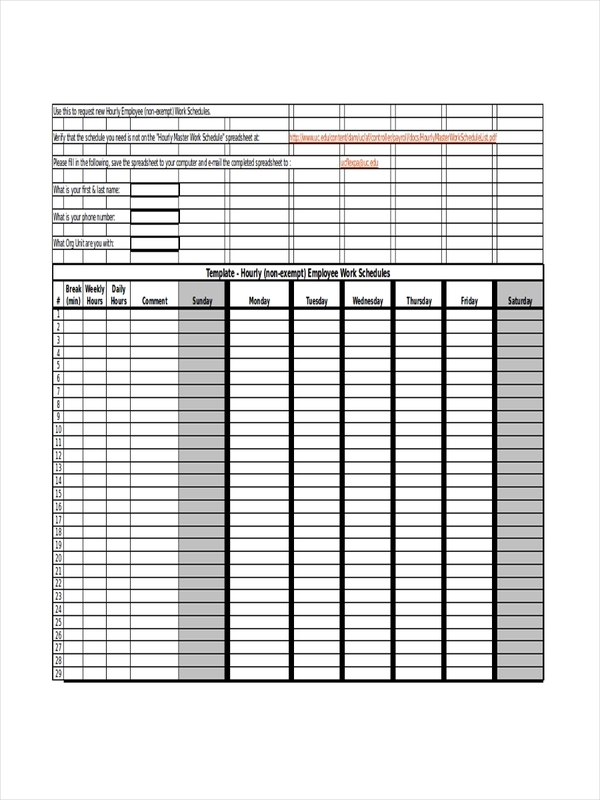 Examples in the page provide samples and additional information in making our own hourly schedule template that is effective and works for us. What Is an Hourly Schedule? Businesses know the importance of an activity schedule in relation to the operation of a business plan. Hourly schedules assist in planning the activities for employees in a day and make sure that operation continues according to plan throughout the day. 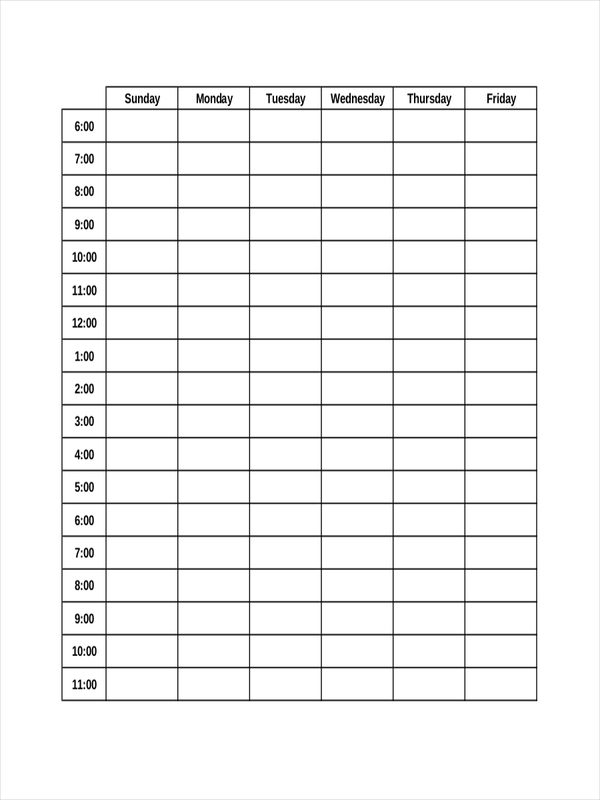 If planning by the hour is just not that doable for you, schedule examples in pdf might be more helpful to assist you in introducing some order into your life. Details do matter. When it comes to business, thinking ahead is expected, with hours and weeks being the heartbeat of the short-term. 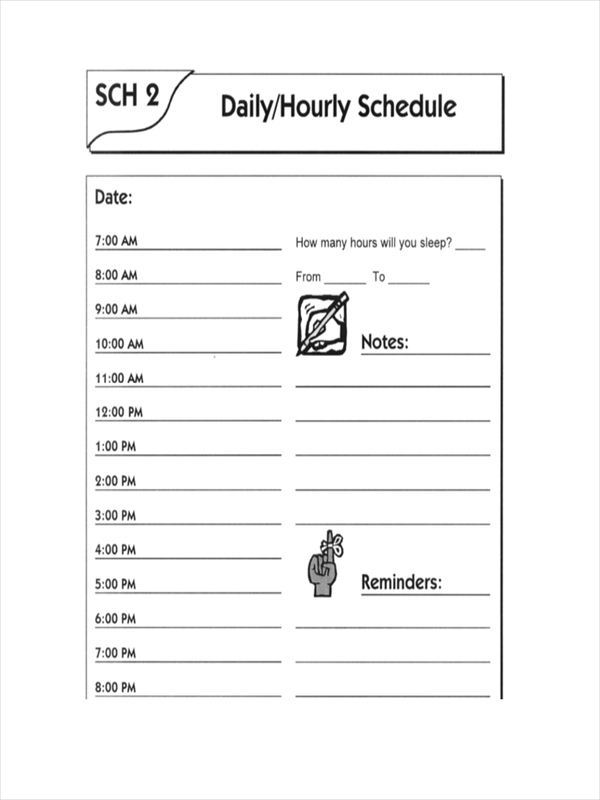 These weekly schedule examples can also help you in creating your monthly schedule. Why Do You Need an Hourly Schedule? For a business operation to be successful, it is required to have optimum output at a designed number of hours. Employees must follow a schedule in connection to the operation output of a business. 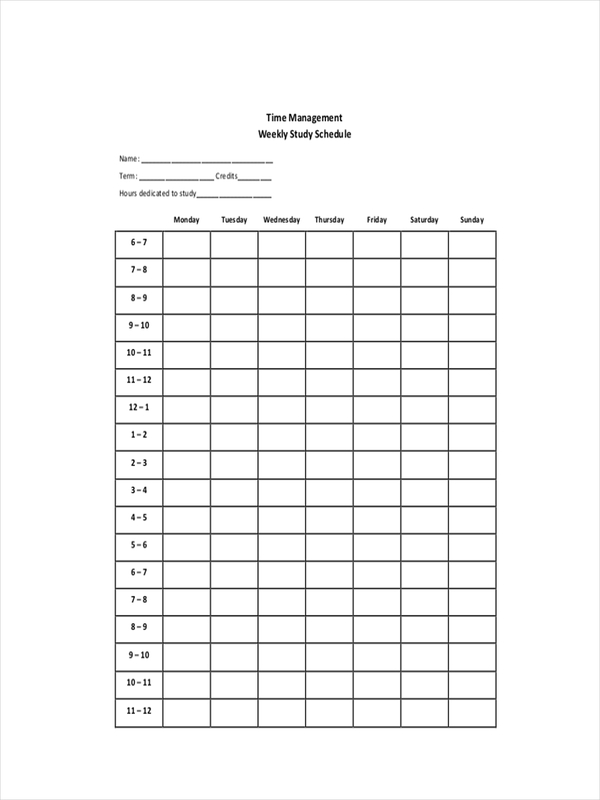 Having an assignment schedule keeps the employees focused on what needs to be done and when it needs to be done. Increase task relevance. By adding a completion time or deadline to a task, employees become focused and give their full effort on the task at hand. Describe clearly what needs to be done in between tasks and make sure to split tasks by at least a three-hour window to allow for breaks. Give employees at least 15 minute breaks in between tasks. This allows their brains to rest, adjust, and get ready for the task at hand. 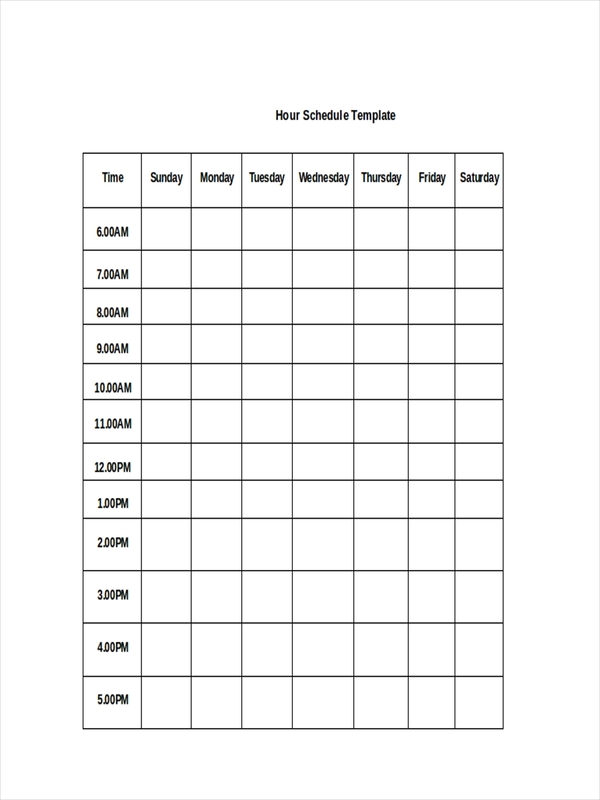 Any of the above sample schedules should be able to help you as basis in making your own hourly schedule. Browse around and take what you need. Everything can be downloaded for free.